Happy sunny Easter holidays to everyone! 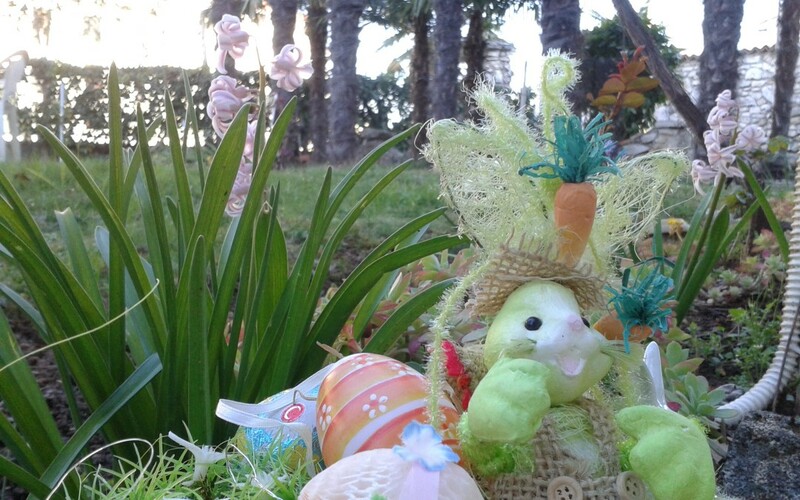 We decorated our garden a bit… bunnies are keeping eggs safe from us. Why do we like colored eggs so much, is this a tradition in Croatia? During the spring Easter festivities, it is customary to color chicken eggs in red, green, blue, or even decorate them in greater detail. There is also a game involved! The opponents knock their colored eggs into each other to see whose egg comes out unbroken as a winner. They are boiled so you can eat them afterwards together. You can greet other people with “Happy Easter!” on in Croatian “Sretan Uskrs!” during these festivities.